I don’t know if you have experienced the blessing of receiving a handmade card by a completely anonymous person. But I can tell you, a card arriving at a tender, emotional moment – handmade, so you know someone who you do not know has spent time and effort on your behalf – can make such a difference. This happened to me in 1996, I was showered with anonymous love in the form of cards and letters; I wasn’t able to locate any of them for thank-yous, which made it even MORE powerful to me. These were gifts of love given freely, with no payback, nothing expected in return, no way to even be acknowledged for their efforts. Selflessness at its best. That’s what I’ll be asking of you in just a moment. But first…the background. My friend Kimberly, who I met through Hero Arts, has begun an initiative born out of her own pain – but one that will bless so many people with broken hearts. You can read Kim’s whole story on the Give Forward page HERE – but the short version: She is raising money to give a comforting book to mothers who suffer the tragic loss of a child in miscarriage. She’ll provide these books for the doctors to distribute….and she’s collecting cards to give to each mom as well! Please visit and share the Give Forward page, and Fb page HERE to help spread the word! Last night I broadcast live on Periscope while making cards for this beautiful cause, and Kim joined in to answer questions for viewers. You can catch the replay HERE for 24 hours, or on Katch HERE. 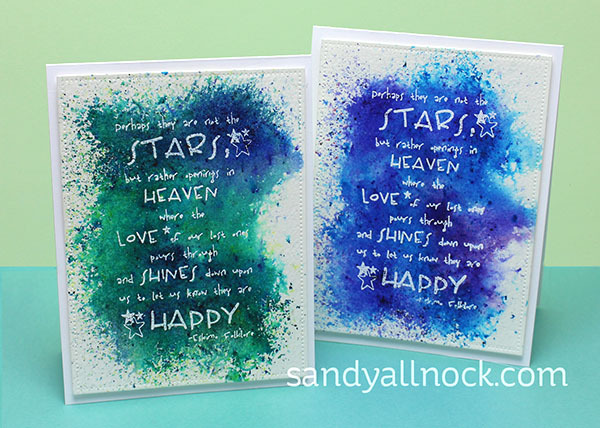 We made an airbrush card last night with periscope-style hearts…. I had made a few of these before the broadcast…. If you’re wondering what to write inside – keep it simple. Just let them know you’re thinking of them. These are my thoughts, after knowing the kinds of cards and questions from my days running OWH. Beautiful, simple cards, can be so impactful. Your sweet handwritten message inside is the most powerful part! Cheerful cards are fine, but not *overly* bubbly; remember the emotional state the recipients are in. Generic Christian messages may be okay; but not knowing who they’re going to, keep it very simple, and no proselytizing. Sentiments like “Thinking of you,” “Praying for you,” “Hugs,” or sympathy messages would be great. Include a simple note – sign with just your first name and hometown. I’d leave the backs blank, not adding a url or anything. It’s not the time to promote your blog or card business. Send with an envelope, but don’t seal it. (They’ll want to make sure the message is appropriate for each recipient.) No return address. The address to send them to is on the Giving page HERE. There’s no end date at this time – refer to the Giving page for any updates if you stumble onto this post a long time in the future! 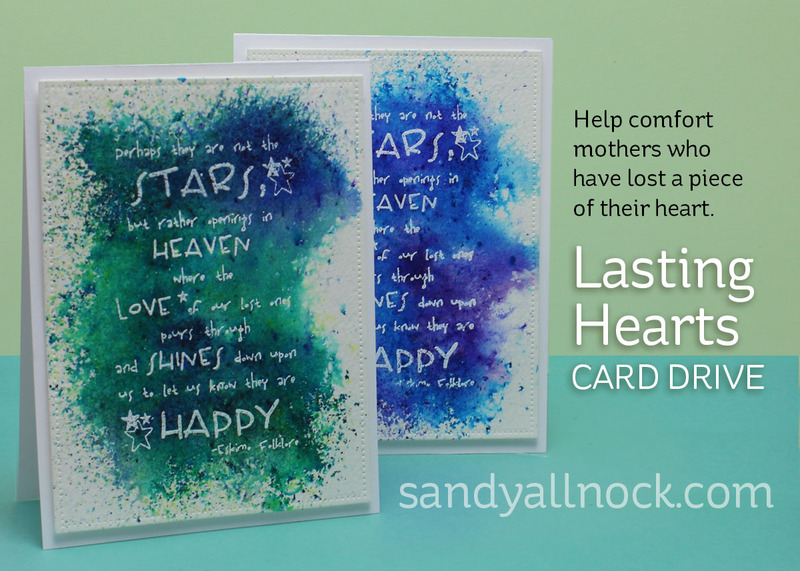 I’d like to challenge all of my readers to make cards—even one or two cards will make a difference to couples going through heartache! 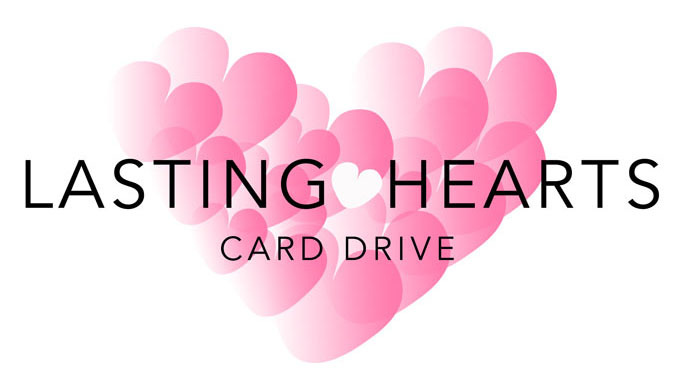 And in addition….please consider donating a dollar amount per card you make. My giveaway is to Lasting Heats: I’ll send in 25 cards PLUS I’ll donate $1 per commenter committing to make at least one card to send in (up to $300). Deadline to comment is Saturday, but you can send the cards in anytime. I’m going on the honor system, so don’t go posting that you’ll do it and then bail! These families need your support, so please follow through….and share this post with your friends – let’s see how many people we can get involved! I already sent in 25 cards and have another stack ready to send by the 10th. I think the deadline is the 15th of this month right? What a wonderful cause to be a part of. Thanks for sharing. Mailing my cards tomorrow. Thanks Sandy for inspiring us to give to this worthy cause. What a wonderful cause to be making cards for this winter. 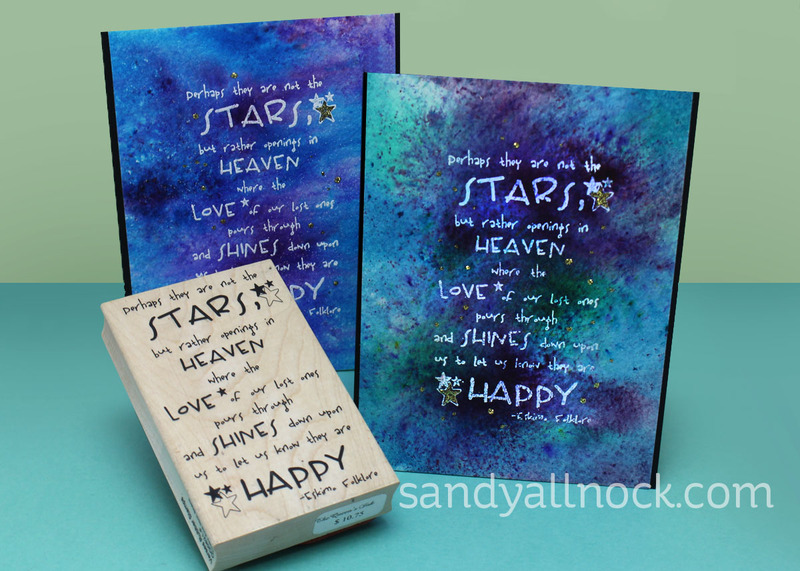 I have made three cards and will be making a donation for a book to go to a deserving woman. I hope that Laura’s initiative is successful and expands across the country. I will be more than happy to donate a few cards. Yup I know that’s why some do. But I prefer anonymous myself…the anonymous cards I received meant SO much to me, I wasn’t able to “pay” anyone back with a thank you; that experience taught me that even thanking someone is a gift in return, so I don’t put my info on cards I do for charity. Never did for OWH either. Sandy, I love your heart and your cards. 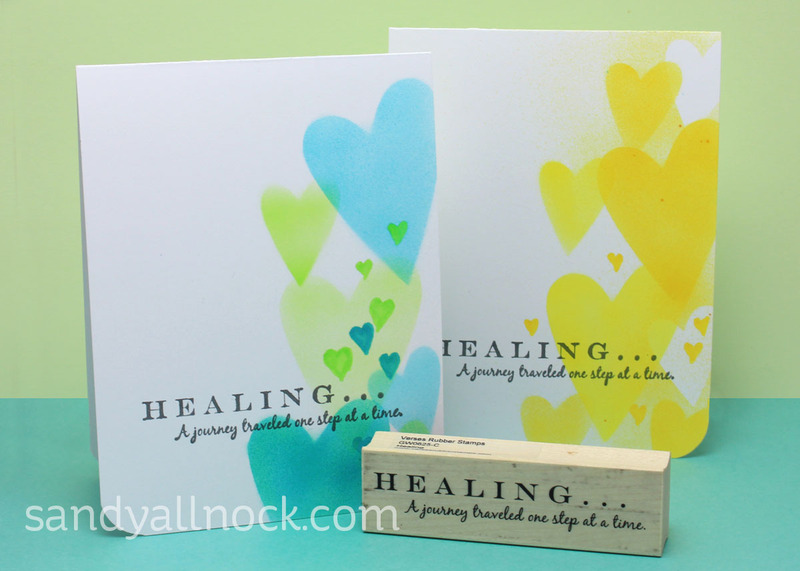 It is amazing how a handmade card with an encouraging message can lift up someone’s life and give them hope. I am working on the cards to send to this card drive, too. So thankful for all of these special people like you! I made 4 cards today to send. This is a wonderful cause. So glad to contribute. What an awesome cause. 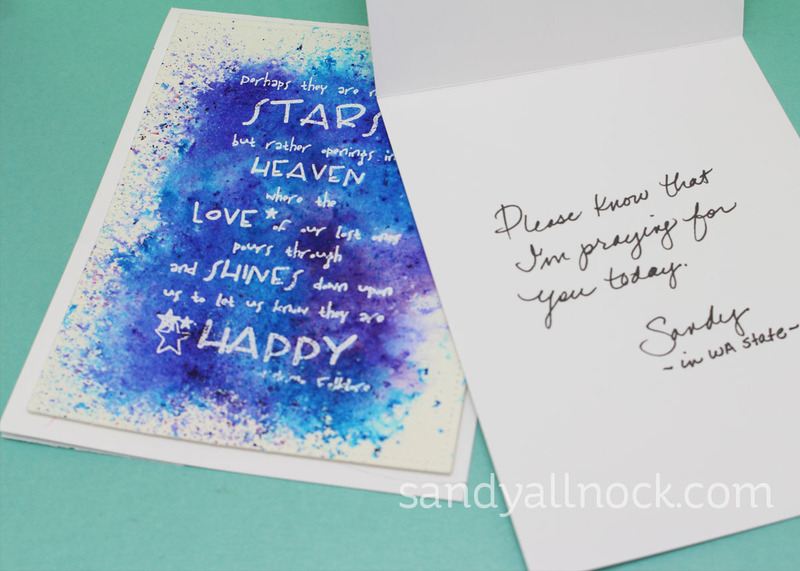 I will send cards as well as a donation, Sandy – I won’t bail on you! Promise! Just like the “old” days of OWH I’m planning an event with some friends to make a few cards.